Editor's note: This is part of a series at KSL.com featuring some of Utah's coolest cars. If you own a customized vehicle — from sports cars to semitrucks — email fjolley@ksl.com with a photo of the vehicle and a brief description for consideration. 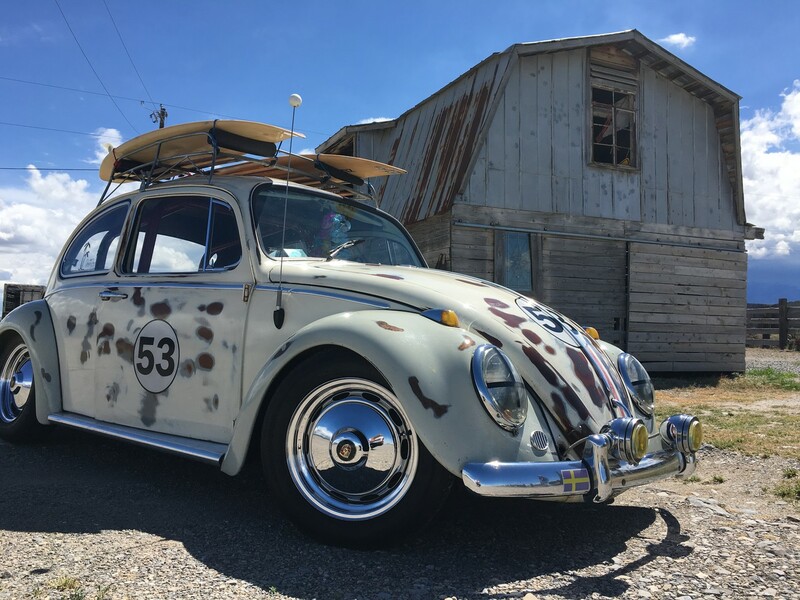 SALT LAKE CITY — "I Get Around" is not just a Beach Boys song— it's a way of life for Salt Lake City resident Jeanne Wheeler and her 1965 Volkswagen Beetle. When your car looks like just like Disney's Herbie from the 1968 film, "The Love Bug," and you haul around two surfboards with a Beach Boys theme, your vehicle is going to get attention. Wheeler said she first saw the Volkswagen Beetle for sale in a parking lot. By the time she let the seller know she was serious about it, he said he had other buyers who were interested. She made her case for buying the vehicle by assuring the seller she would have fun with the car and leave it just as it was, and by proving to him that her stepfather's name was really Herb. She's a big Disney fan and grew up watching all of the old Herbie and Dean Jones movies, and calls her car a tribute to both of them. Wheeler said in 2015 she was invited to the memorial service for Dean Jones and had the only "love bug" there from outside southern California. Along with the Disney connection, Wheeler's love of the car also comes from a love of the Beach Boys that she developed as a child visiting her grandmother in Pasadena, California. Her grandmother had her convinced that she was the actual "Little Old Lady from Pasadena," the hit song from Jan and Dean later performed by the Beach Boys. She said she's seen the Beach Boys in concert around 15 times and has parked her Volkswagen near the entrance of several of them. Several Beach Boys, including Mike Love and Bruce Johnston, have signed the glove box in her vehicle. She said drummer John Cowsill was particularly impressed with the Beetle. The "Surfer Girl" takes her vehicle from Salt Lake City to "Catch a Wave" in California about four times a year. If you've ever traveled far in an old air-cooled Volkswagen, you know that can be a rough ride, especially under "The Warmth of the Sun." She said it's easier when you make plenty of stops, and all the people wanting to take pictures with her love bug make it fun. The car has been bored out to 1776cc with dual weber exhaust and a wider exhaust, and Wheeler claims it can "Shut Down" anything that can't do 90 mph. It crosses the desert with nothing but "Good Vibrations" and gets 24-30 miles per gallon, even in traffic. During one of her trips to California, she participated in the Star Cars Central Parade in Burbank on April 29. The parade features replica cars from movies. Brian Champagne has reported on cars for more than nine years. He holds a master's degree in communications from the University of the Pacific and teaches at Utah State University. Contact him at iaabfl@yahoo.com. Detailing is simple, but not easy. Can you drive a car sideways for seven hours? Are we on the verge of a car design revolution?